Join us in person for a service at 5771 State Route 128, Cleves, OH 45002. No need to dress up. Bring the family. Bring a friend. We’ve built this with you in mind. Or watch online first to scope it out. Why we exist: To help people find hope in Jesus and a home in His local church. Discover more about who we are and what we believe or check out the Staff Leaders! Perfect. That’s why we exist. You can explore faith at your own pace or check out the next Alpha class. Some folks wear T-shirts and jeans. Others wear the more traditional Sunday attire. We don’t judge by appearances because we know that God is interested in what’s on the inside. We just want you to be comfortable. There are age-appropriate programs for your kids infant-5th at every both services, and 6th-12th at the 11:15am service. When you arrive for the 1st time, you will want to follow signs to Harbortown KIDS or Student UNION to check in your kids or students for safety and security. You can also let us know you are coming and get a head start on the registration process. What if I am sensitive to loud music, moving lights or large crowds? We’ve got you covered. 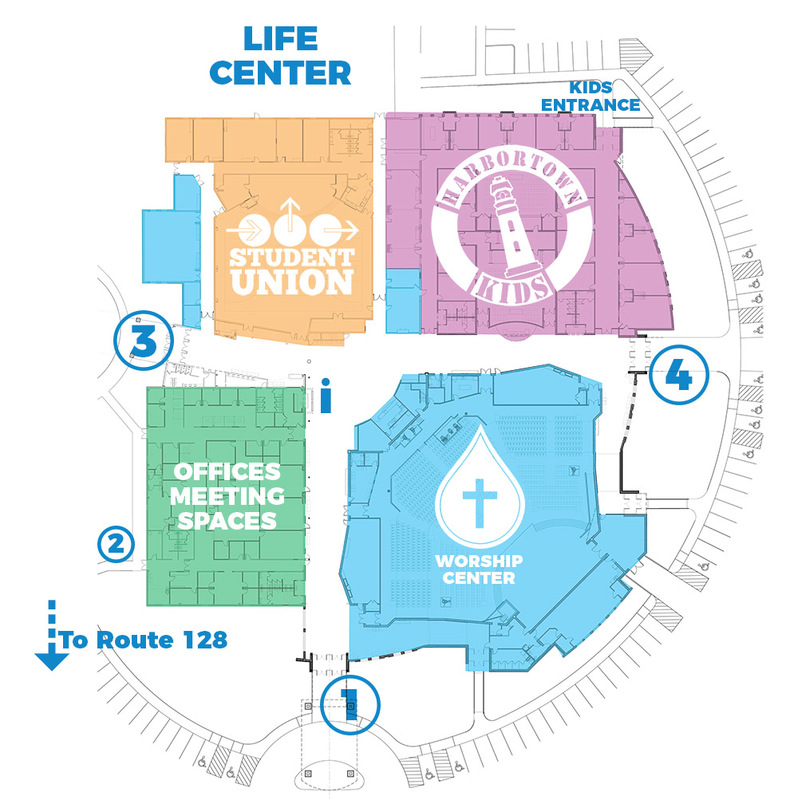 The Great Room (W109) is a sensory-friendly worship space specifically designed for those who are sensitive to light, sound, movement or crowds. The entire service will be shown on a large screen without any additional production elements and will include communion. (Please utilize Harbortown KIDS or the parent room for crying or fussy children.) Ear plugs are available at the information desk.